The 1969-1970 school years represented a turning point in public education in Hope as school integration was implemented across the Hope Public Schools. 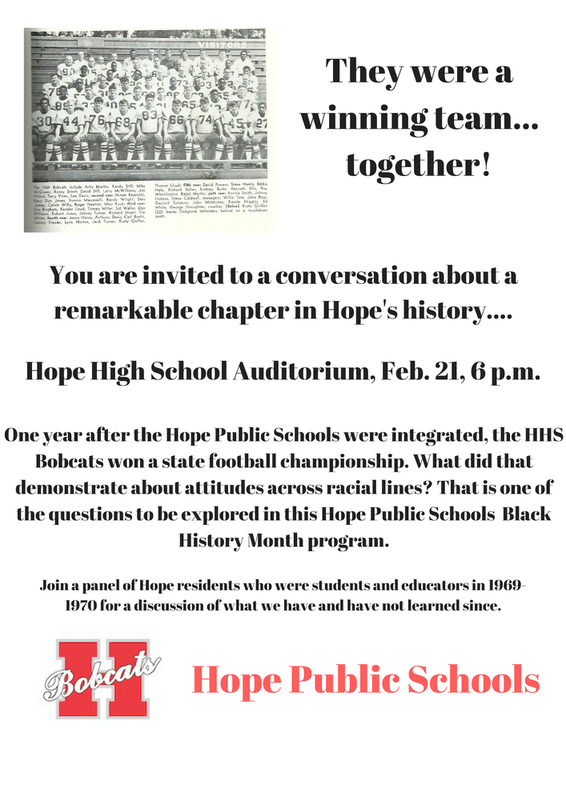 That critical juncture will be the focus of a panel discussion in a Black History Month presentation by the Hope Public Schools on Thursday, Feb. 21. “Hope Public Schools: A Turning Point” will be the theme for the evening, beginning at 6 p.m. in the Hope High School Auditorium. A panel of former Hope school students and former Hope educators will discuss their experiences and answer questions from current social studies classes about that period.